Design isn't just for big business anymore. It's true! Small businesses BENEFIT tremendously by hiring a graphic designer. Want an instant image upgrade for your company? Hire a professional graphic designer to create a fresh, eye-catching, memorable design that ties all of your marketing efforts together and compels potential customers to contact you. Professional graphic designers are skilled at creating designs that help to level the playing field between large and small businesses by helping small business appear larger and often-times, more credible. But what is it about creative people? They are so much fun to be around with their creative and extraverted personalities, but why is it we have a hard time working with them sometimes on a project? This book is written with you, the small business owner, in mind. It is easy to work with designers. This book gives you tips on how to make the process go smoothly. 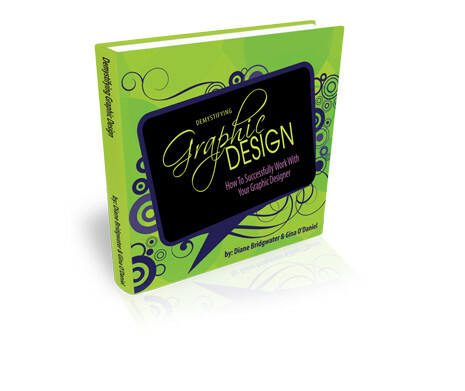 In this 80+ page book of tips and info you need to know, you will learn how to interview and find the right designer to fit your needs, the importance of hiring a professional graphic designs versus doing it yourself, what to expect in the design process from start to completion and much more.